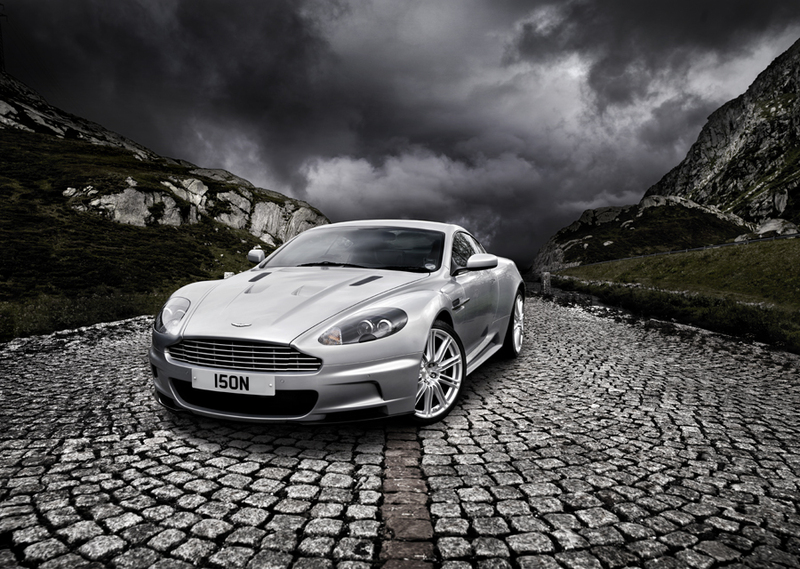 The Aston Martin DBS is today still seen as one of the best known current Aston super cars and one of the most aggressive looking with its sleek lines and deep intake details. This week car photographer Tim Wallace spent some time with the DBS for Aston shooting this elegant beast in locations from the Swiss Alps to the beautiful rural town of Estavayer-le-Lac in Switzerland for an advertising feature. The car was made famous by James Bond in last year’s Casino Royale, with the DBS is a race-bred road car based on the DB9 and Le Mans class-winning DBRS9. Using a tweaked version of the six-litre V12 engine from the outgoing Vanquish S, the DBS produces a titanic 510bhp and 420lb/ft of pulling power. Engineers have tuned the engine to give it a bit more oomph above 5,500rpm – making it the fastest accelerating Aston ever. 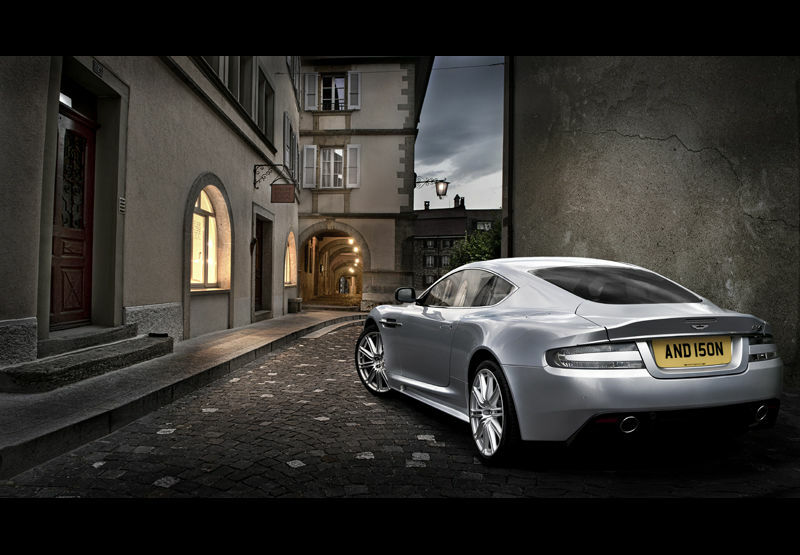 The DBS rockets from 0-62mph (100kph) in 4.3 seconds and 0-100mph in 9.4 seconds before running out of steam at 191mph. Weight has been cut by 120kg, by fitting lighter seats, lighter brakes and carbon fibre panels.